Stuart Shepard (Colin Farrell) is a somewhat sleazy publicist who uses an outdoor phone booth to call his girlfriend because his wife keeps tabs on his cell phone bills. But when Stu answers the phone in the phone booth, the terror begins. Now it's a real-time race against the clock as Stu must outwit a psychotic sniper in a frantic scramble from phone booth to freedom. 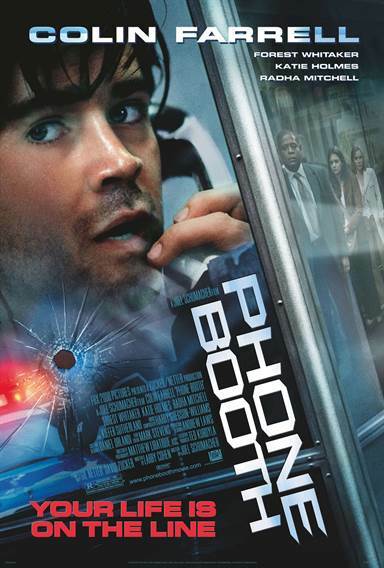 Download Phone Booth in Digital HD from the iTunes store. Phone Booth images are © 20th Century Fox. All Rights Reserved.